One thing almost all strategy games have in common is the godlike bird’s eye view they provide the player with. 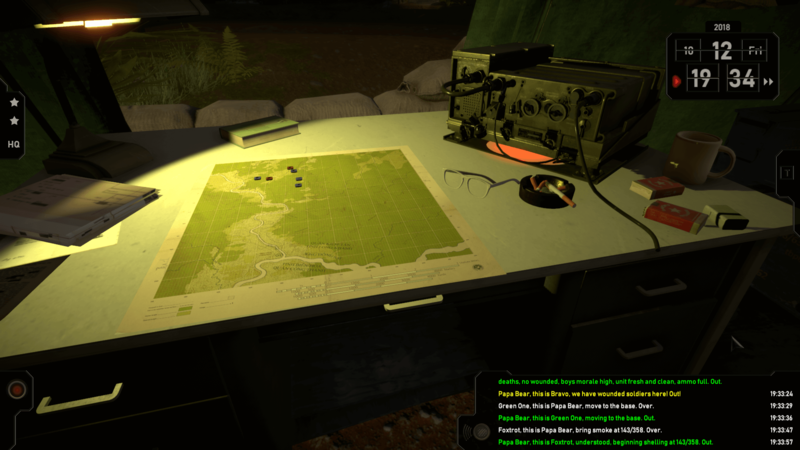 Radio Commander, developed by Serious Sim and to be published by PlayWay and Games Operators, mixes things up and gives you nothing but a map and a radio. For the most part, Radio Commander set in the Vietnam War, is a real-time tactics game as we know it: you move troops around, issue commands and hope that the enemy runs out of warm bodies before you do. The twist: you only have map and nothing else. Get used to this tent – it is all you are going to see. Said map is the rough equivalent of the minimap in other strategy games. You can put fancy counters on it, indicating the positions of friend and foe. However, the map will not place counters for you. 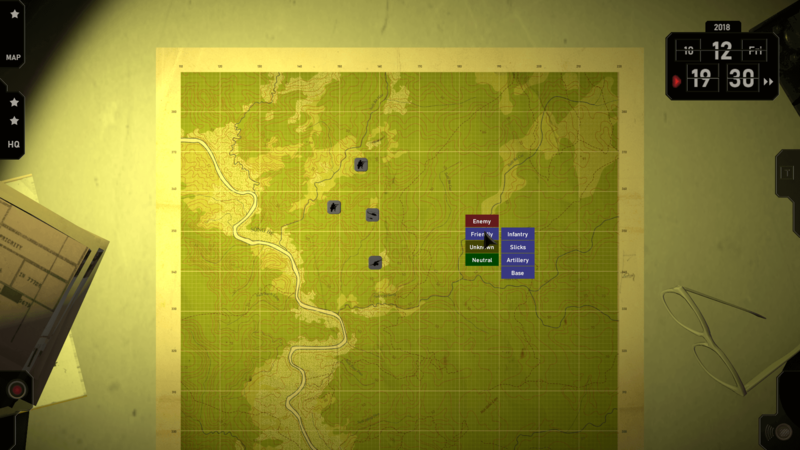 Thus, you have to radio individual squads, ask them for their position and status, search for the coordinates you just got on the map and move the counter. Keeping this in mind, if you order a squad to move, the information you use will immediately be outdated. Grunts, helicopters, support artillery and everybody else has to be checked on constantly. Health bars are absent too, though squads can be asked for members KIA, morale and current activity. Radio Commander, or more specifically its current Kickstarter demo, delivers a somewhat stressful experience, which was the intention. The premise is very interesting, but falls flat in a couple of ways. 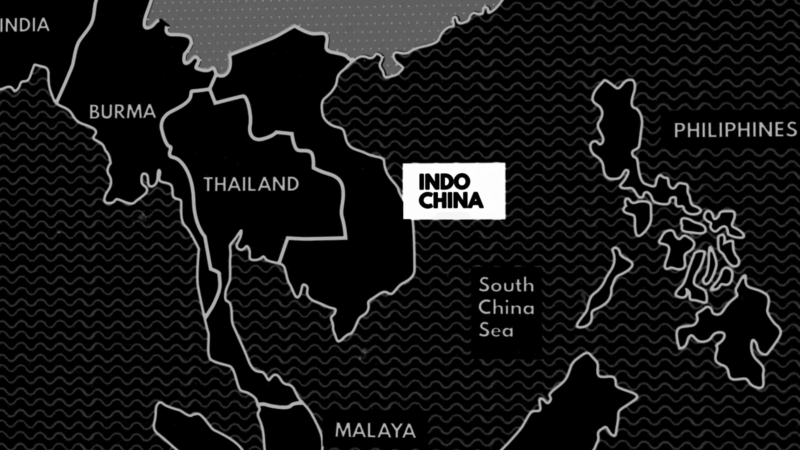 Searching for map coordinates is somewhat laborious — yet it requires precision. Telling artillery to shell an enemy squad or a helicopter to join your own guys is best done by telling them to go directly to a counter. The game then translates this to the coordinates, provided they are accurate. The primary issue here is that looking for numbers gets old quickly. It may be more realistic than moving a unit around with a magical flying hand, but realism is not inherently fun or engaging. Also, real-life military commanders probably have staff to help them moving all those counters around. 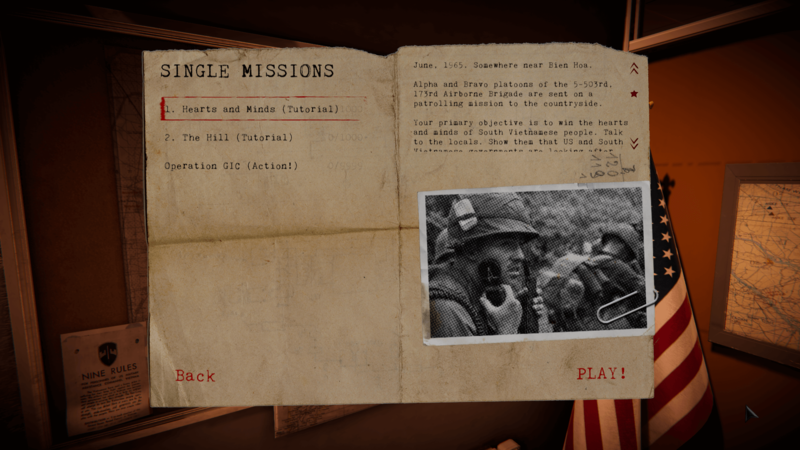 The demo offers two tutorials and one mission, with eight more to come. Radio Commander’s second issue is the lack of a competent unit AI. Traditional strategy games balance their often lacking (and notoriously difficult to script) AI by giving the player the ability to instantaneously give orders to individual units. Real units are not commanded like that, but can be expected to have some autonomy — no human will just stand there while being shelled. Right now, even trying to order Brave squad to enter the damn medivac is a nightmare. Even with the coordinates in the radio log, simple actions take a lot of clicking through submenus — and then Brave squad fails to go were they were supposed to move anyway. Lastly, Radio Commander is not planned to include multiplayer, which is a shame. Playing against another human would have balanced most of the game’s issues and turned it into an especially chaotic version of Battleship. Be careful where you put those counters. Radio Commander comes with a good idea, but does not execute it in a satisfying way. That said, the potential is there and the issues can be ironed out — otherwise we will be left with a game that delivers a realistic level of frustration without any payoff. Radio Commander is scheduled to be released for PC in Q3 2019.